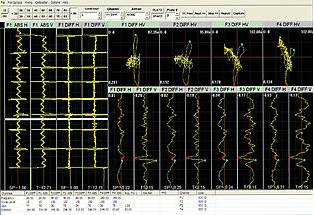 MagWave is another Eddy Current based tube inspection technique. It uses saturated eddy current to inspect ferrous and partially ferrous tube materials. Where IRIS or Remote Field would normally be used for ferrous tube materials, MagWave excels for thin walled tubes. Typically used for materials such as Monel and certain grades of Inconel.